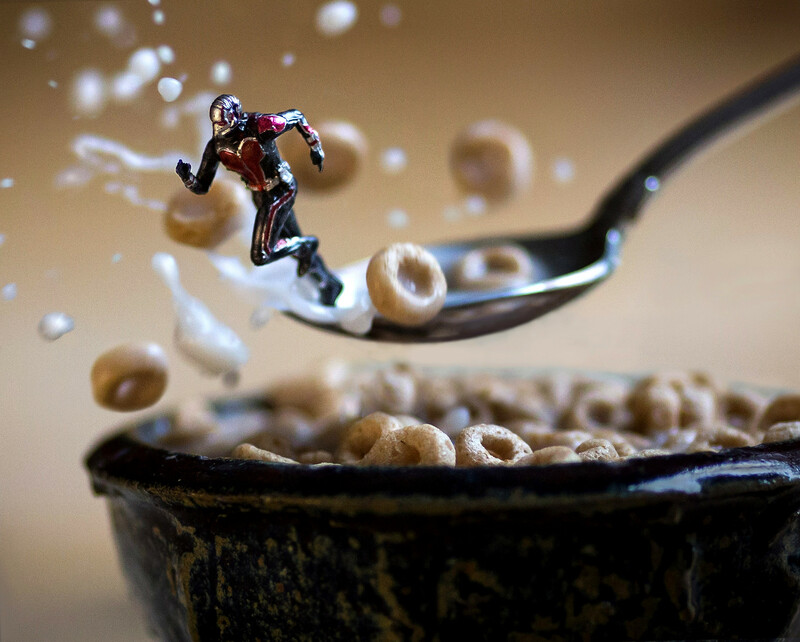 Home / Blog / News / toys / Forever young with amazing toy photography. 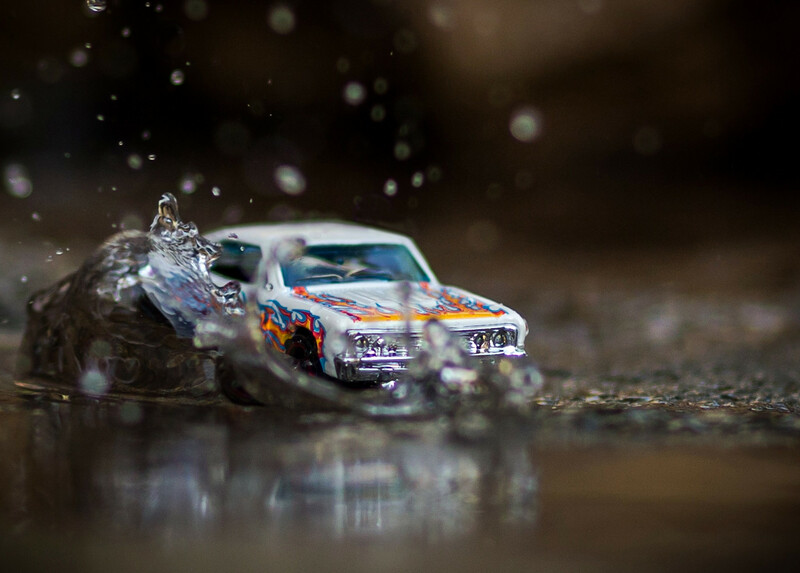 Forever young with amazing toy photography. You are too old for that! At your age you should no longer entertain yourself with such childish things.. Did you ever hear similar words? Over here in the GeeksvsGeeks Family we do not believe that age determines your ability to enjoy any form of entertainments and certainly now make you to "old" for something. After six years as a wedding and portrait photographer Mitchel Wu felt as well that it was time to rekindle the youthful spark that had faded over time, as often happens when we try to walk our path in life. Client demands, stressful deadlines and non stop work had become stifling. Mitchel missed weekends with his family, and was looking for something different which he found when his nephew asked him to come do a photoshoot of his toys. A new world opened up and Mitchel dove in full force, spent a small fortune on his own toy figures and started to experiment and create. The result is an incredible, can't miss, series of photographs on which the toys seemingly have come to life and we get to see a glimpse of what they just might have been up too when we are not really looking. There are a few stand out things that make the photographs even more impressive. First of all Mitchel does not own any specific equipment for this type of photography. As he already owned a fair amount of equipment he used the tools he was already familiar with, his wedding/portrait equipment. with a Canon 5D Mark III on a tripod, a range of L lenses and a series of speed lights, he has all the tools he needs to compose the pictures he envisions. As an added bonus this equipment also brings a portability for easy relocation and ability to shoot sessions in area's outside of a studio set. On top of that, it is notable that that all the physical effects int he images are real. 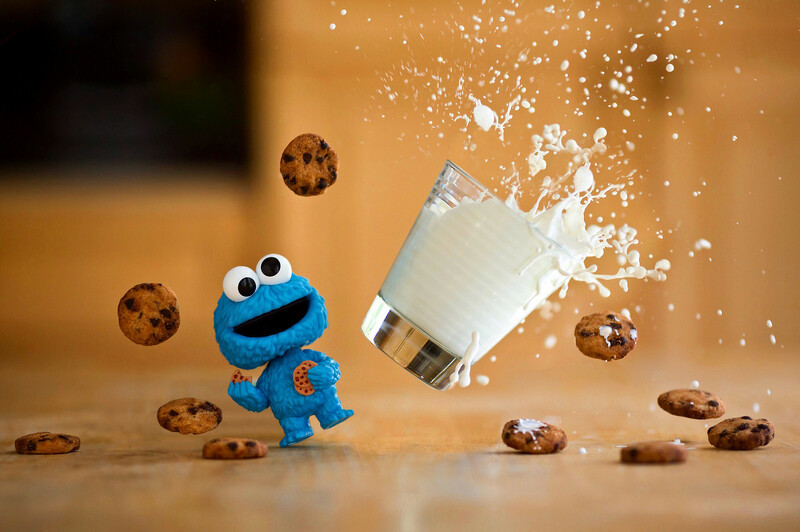 Though there is some post editing involved, the effects you see such as milk spilling, an egg yolk sliding out of it's shell and water splashing are realtime physical actions captured on the image. It is clear from each scene that Mitchel has fun with his art. 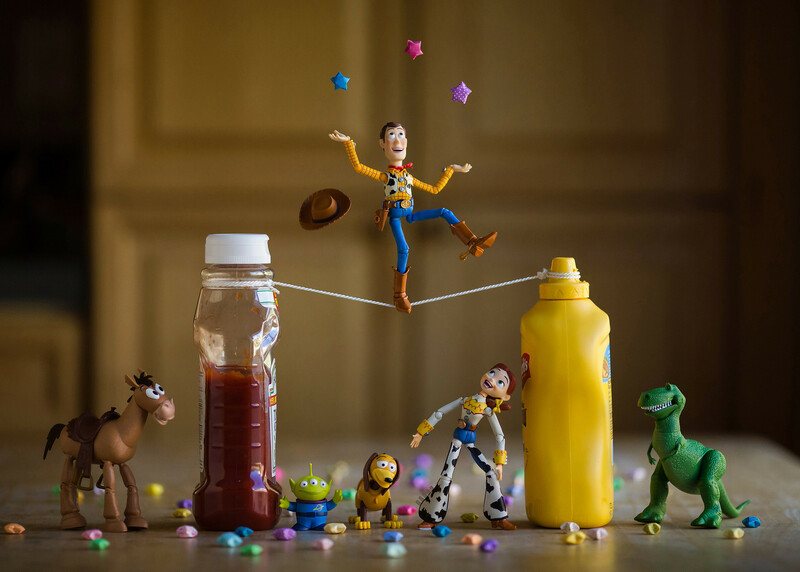 They are playful and popping with color, making you at times wonder if the toys in the scene really are alive and part of the elaborate adventure we all get to witness along via Instagram. But don't let the spontaneous presentation of these images fool you, each new image tells a story and this story take time and effort. Where one of the simpler images may take an hour to complete, the more involved ones can take up to six hours of more from setup to an edited finished product. It looks like Mitchel's bold step into taking something he truly enjoys has paid off in more than satisfaction in his work and more free time to spend with his family. 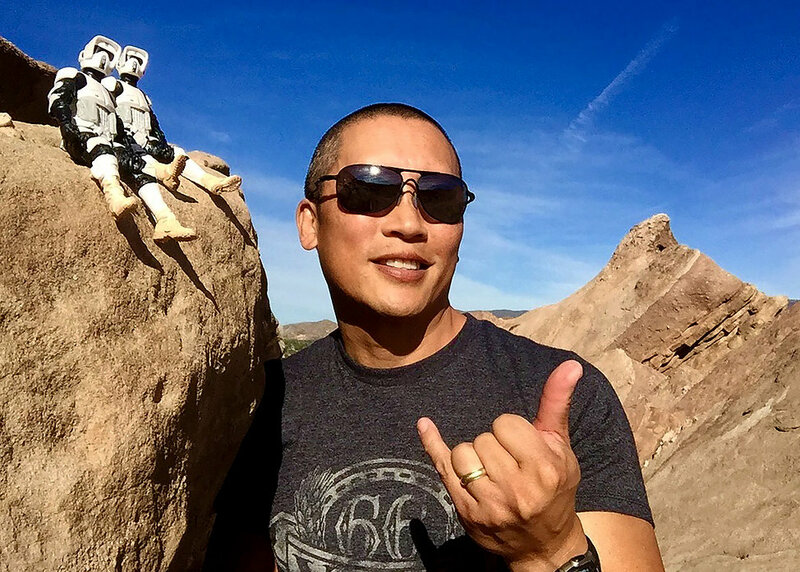 His work has garnered a lot of deserved attention and he is now working with companies such as Mattel bringing the world joy one fantastical dream at a time. To see more of Mitchel Wu's photos you can visit his website or Instagram account.